Heat the oil in a large frying pan. Add the onion and sweet potato and cook for 5 minutes or until softened. Add half the beef and cook for 5 minutes, stirring with a wooden spoon to break up any lumps. Remove cooked beef and vegetables into a bowl. Add remaining beef and cook for a further 5 minutes. Add all the cooked beef and vegetables back to the pan with Taco Spice Mix and 2/3 cup of water and simmer, stirring for 2 minutes, or until sauce thickens. Place corn in a medium sized sauce pan and cover with water. Boil for 3 minutes or until tender. Transfer to a chopping board, allow to cool and remove kernels. 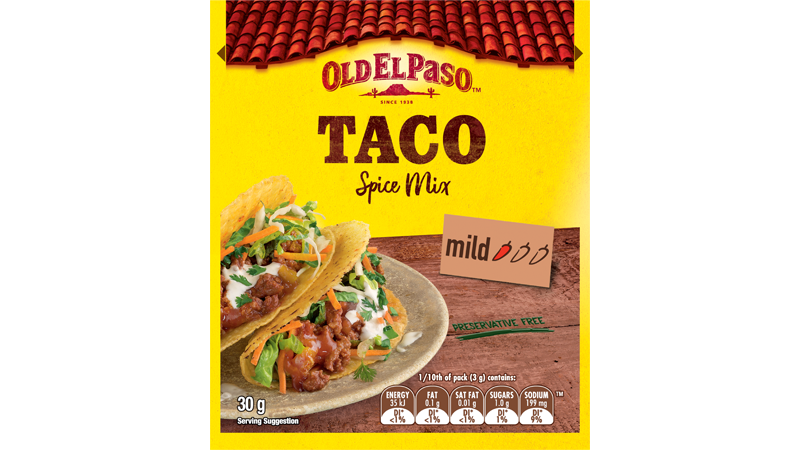 For Crunchy Mini Taco Shells and warm mini soft tortillas heat according to pack directions. 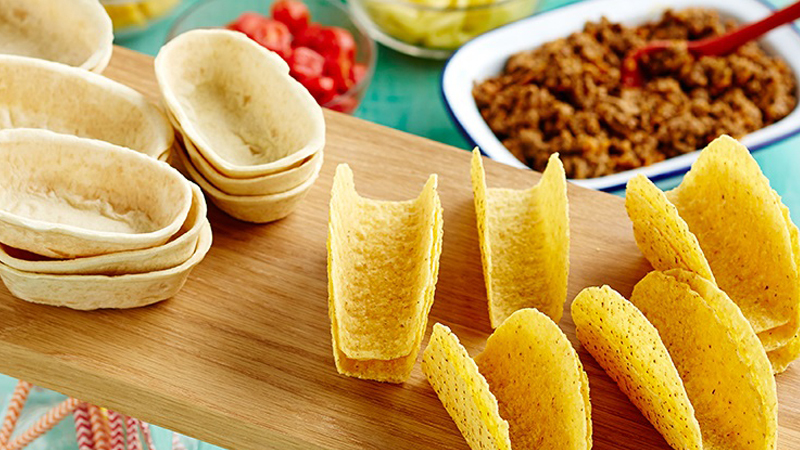 Serve mini tacos and tortillas, beef mince, corn, cucumber, tomatoes, lettuce, cheese and Mild Taco Sauce in separate bowls and everyone can make their tacos the way they like. Present as a Taco Bar to add some fun for a party.